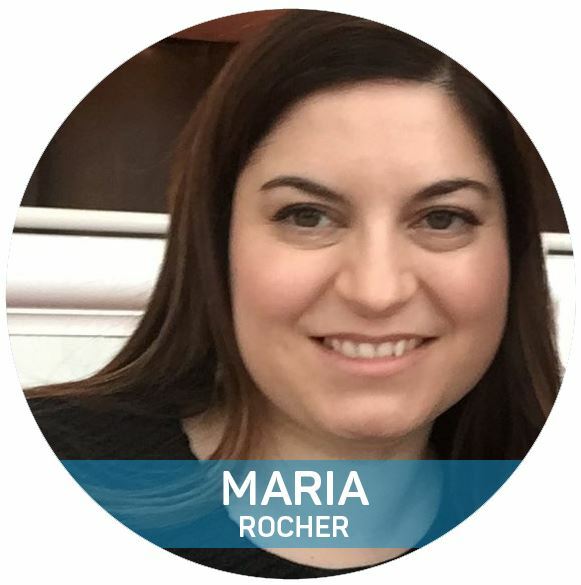 My name is Maria Rocher. I’m a Health Care psychologist, a certified Trainer/ Supervisor Group Schema Therapy and Cognitive Behavioral therapist. I started out being trained as a Cognitive Behavioral Therapist in very different settings. When I discovered schema therapy 10 years ago I was working at the Waag, a forensic policlinic with cluster B forensic clients, both adult and adolescents. I found that even clients that were not deemed to have any motivation for therapy and who came into therapy because they were ordered by the court understood the mode model and identified with it. My clinical impression was that they responded to the treatment much better than to CBT. I was trained by Marjon Nadort and subsequently sougth out supervision from her to improve my skills. In 2011 to 2014 I joined Marjon Nadort and Jenny Broersen at G-kracht in Amstedam were we worked with individual clients with cluster- B and C personality disorders. Then from 2012 to date I work at the Viersprong in Amsterdam, the Netherlands were I am part of a great schema therapy team were I work with and have received training by Arnoud Arntz and Odette Brand, among other collegues. At the Viersprong we’ve implemented the Group Schema Therapy model of Farrel and Shaw as part of the international study of this model for the Borderline Personality disorder . We’ve concluded several 2 year runs with very good results. I’m particullary proud of our team’s ability to keep drop out low working with these very complicated clients. We have recently started our 7th group and are starting a Group for adolescents and more groups in the next month. I work as a therapist and as a supervisor within and outside of the Viersprong. As part of the therapy trial I’ve received years of weakly supervision from Ida Shaw and also extensive supervision by Marjon Nadort in both individual as Group Schema Therapy. Having so many wonderful and varied supervisors and really dedicated colleague’ s have given me a deep appreciation of the complexity of schema therapy, of the many possibilities it offers and of all there still is to work on and discover. Working within a program that’s being researched has offered a lot of feedback in terms of how clients we have treated have improved and were we could still make adjustments. I really enjoy passing this knowledge on to others as a trainer in schema therapy for the Viersprong Academy were I teach schema therapy together with Odette Brand and Eelco Muste. I would be honored to serve as a board member for the ISST at this moment when the organization is growing and meeting exciting challenges that come along with this phase. I would like to contribute to help schema therapist from many different countries to find their way to become ISST members and participate in expanding the use of schema therapy. To work to make sure the ISST is a real representative of schematherapists and to keep the ISST connected to its members now that its finding its way as a growing organization. At the same time I think its important the ISST keeps up with the efforts to make sure we can prove with research that schematherapy is a very valuable and avidence based approach that can help an expanding group of clients. And to make sure the ISST contributes to the quality controle so clients can find a good schema therapist. To accomplish this goals its important to work together with national schematherapy associations and to provide support for countries that are developing and need to get acces to good supervision, training and peer supervision groups. If I have to describe myself, I would say I enjoy working with others, which is why I love to work with groups. I like to bring out the best in others as well as myself and I think teamwork does that. I am energetic, slightly impatient and I would like to think I can look at an issue from very different point of views to find a common ground. If I’m elected I would try to bring this energy and approach to the ISST.